Trent Hindman and Riccardo Agostini sealed the Lamborghini Super Trofeo World Final crown with fifth place in the second Pro and Pro-Am race at Imola. 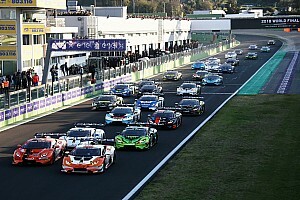 Massimo Mantovani won the second Am and Lamborghini Cup race of the Super Trofeo World Final at Imola, with Philipp Wlazik and Florian Scholze clinching the overall class title. 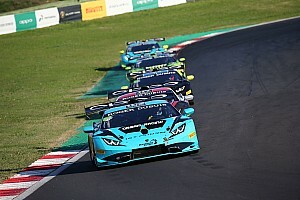 North American series champions Riccardo Agostini and Trent Hindman won the first Pro and Pro-Am race of the Lamborghini Super Trofeo World Final at Imola. Philipp Wlazik and Florian Scholze won a chaotic first Am and Lamborghini Cup class Super Trofeo World Final race at Imola. 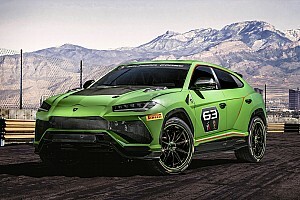 Rik Breukers claimed a last-gasp pole position for the second Pro and Pro-Am race of the Lamborghini World Finals at Imola. Riccardo Agostini topped Pro and Pro-Am class qualifying for the first Lamborghini Super Trofeo World Final race at Imola. Ryan Hardwick set the pace in Am and Lamborghini Cup class qualifying for the second Super Trofeo World Final race at Imola. Yuki Harata set the pace in qualifying for the Am and Lamborghini Cup classes for race one of the Super Trofeo World Final at Imola. Mikael Grenier and Loris Spinelli clinched the Lamborghini Super Trofeo Europe crown with victory in the season finale at Imola. Trent Hindman and Riccardo Agostini made it an Imola double in the Lamborgini Super Trofeo North American's final double-header with victory in race two.